ASTM A312/A790 Stainless Steel 304/304H/304L Seamless Pipe, Stainless Steel 304/304L/304H Seamless Welded Pipes And Tubes, Manufacturer, Exporters, Suppliers, Mumbai, India. As an acclaimed endeavor of the business, REXTON are included in offering a limitless cluster of Stainless Steel 304/304L/304H Pipes and Tubes as a maker, exporter, stockiest and supplier to our local and worldwide customers. Our UNS S30400/S30403/S30409 Pipes and Tubes are known for their diverse uses in fitting applications, for example, in a broad cluster of utilization for the most part for the reason that of their quality, unwavering quality and non-destructive nature. 304/304L/304H stainless steel is a T 300 Series Stainless Steel austenitic. It is defined as a Chromium-Nickel austenitic alloy. REXTON is a leading supplier and exporter of Stainless Steel 304/304L/304H Pipe & Tube. 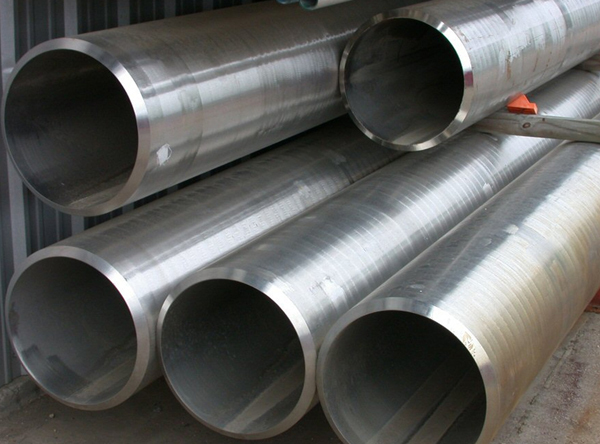 We provide Stainless Steel 304/304L/304H Pipe & Tube as per the requirements of our customers and deliver quality products on time. These evaluations of austenitic 304/304L/304H Pipes & Tubes are the most adaptable and broadly utilized stainless steels. They display fantastic corrosion imperviousness to an extensive variety of destructive situations. Sort 304 and 304L evaluations of Stainless Steel Pipes & Tubes show great machinability and have superb weld-capacity attributes with or without the expansion of filler metals.